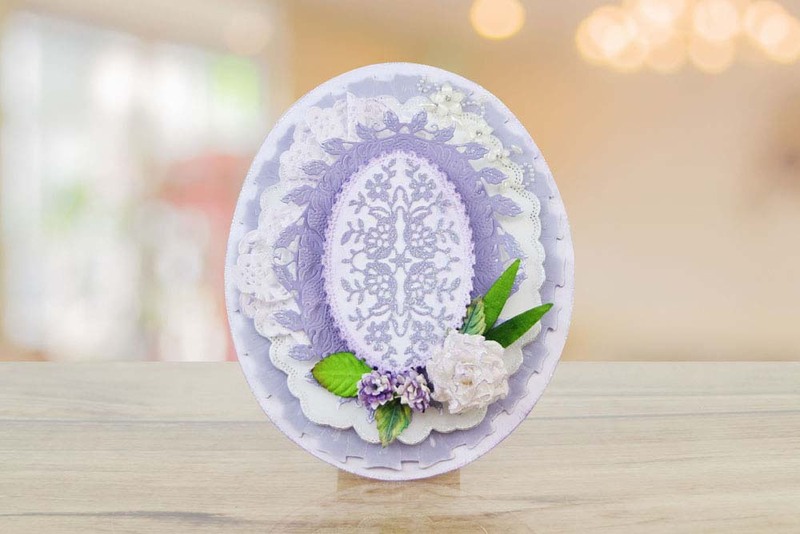 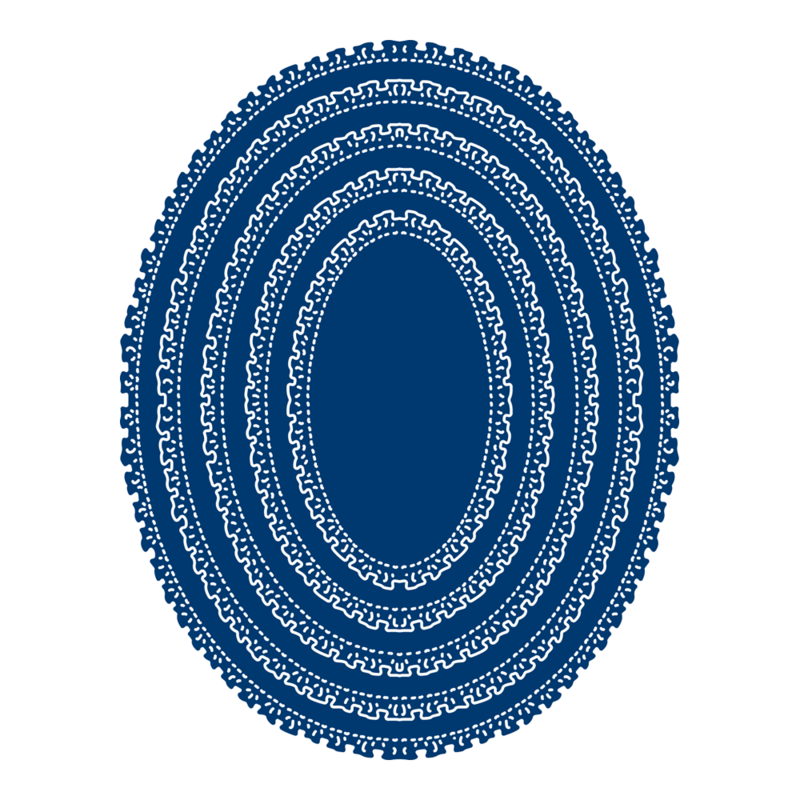 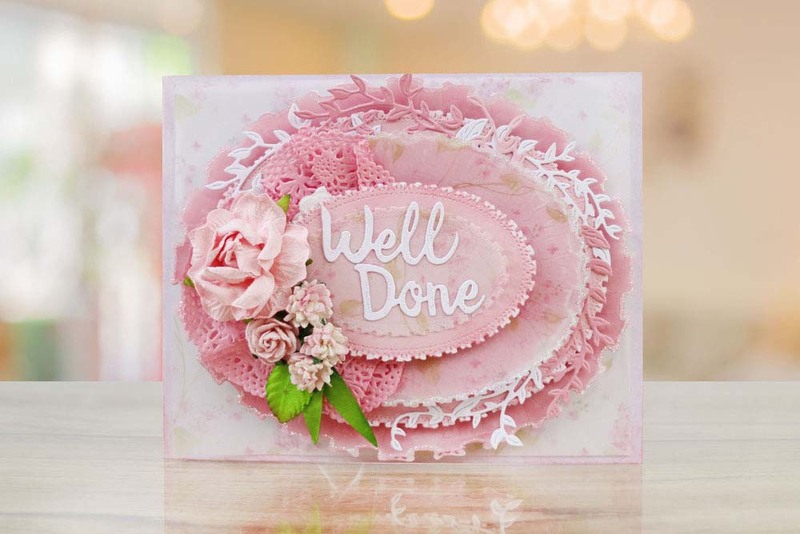 The Tattered Lace Velvet Mini Ruffle Oval die comes with 5 sizes, which nest together to create dimensional pieces, these dies are great to use as a plaque for a sentiment, Name or message. 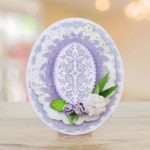 You can use it within your home decor projects by creating stunning frames for your photos, or for personalised photo gifts for weddings, birthdays and other occasions. 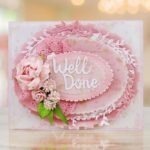 Snip away the ruffles at the edge of the die to create a stitched border giving you a completely different look to your project.